First and foremost important tip is to always shop from authentic and reliable online stores. Since wedding dresses sometimes cost a fortune, you would not be wanting to get your hard earned money get stolen by shopping from a scam source. So, before finalizing your order, check for customer reviews, ask around from your social circle for any leads on their go-to online boutique like PakStyle.pk for wedding dresses, check on recommendations by your local social media influencers, and only then go ahead to place your order. 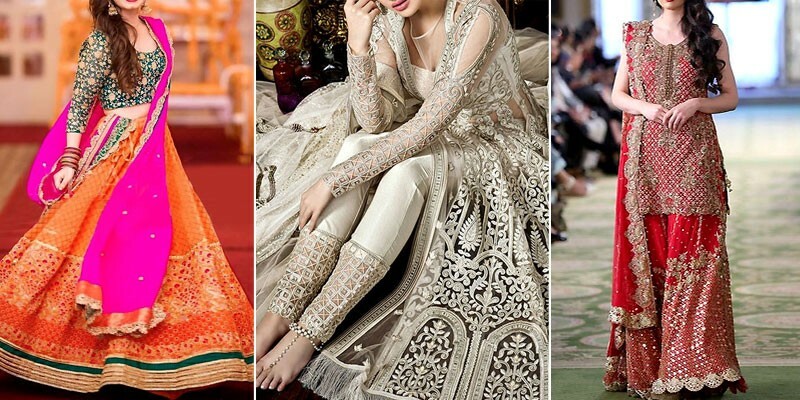 The second necessary thing to keep in mind while shopping for Pakistani wedding dresses online is to get complete details about the quality, fabric, color, and embroidery of the dress before placing the order. Sometimes the original dress might be a lot different than the dress worn by the model in the picture, so you need to have complete information regarding what you will be actually getting. If you really don't care about the price tag of the wedding dress than going for stores run by designers and brands is a wise choice. Since usually the Pakistani clothes from designer brands is of premium quality and in case there are any size issues, you can always go to their outlet in your city for returns or exchanges. Before placing the order, check if the online platform has a return policy and any money back guarantees, because if you will be risking to place an order online of such a great value, you need a surety that you will be covered in case there are size issues or dress is not according to your expectations. For those having a limited budget, replicas of Pakistani designer dresses and dress created by small home-based businesses are a better option, as you will be able to wear something pretty while paying a small price.